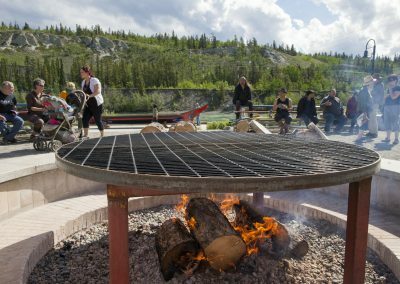 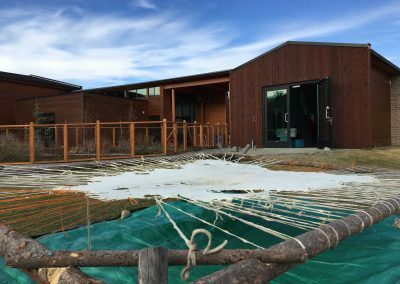 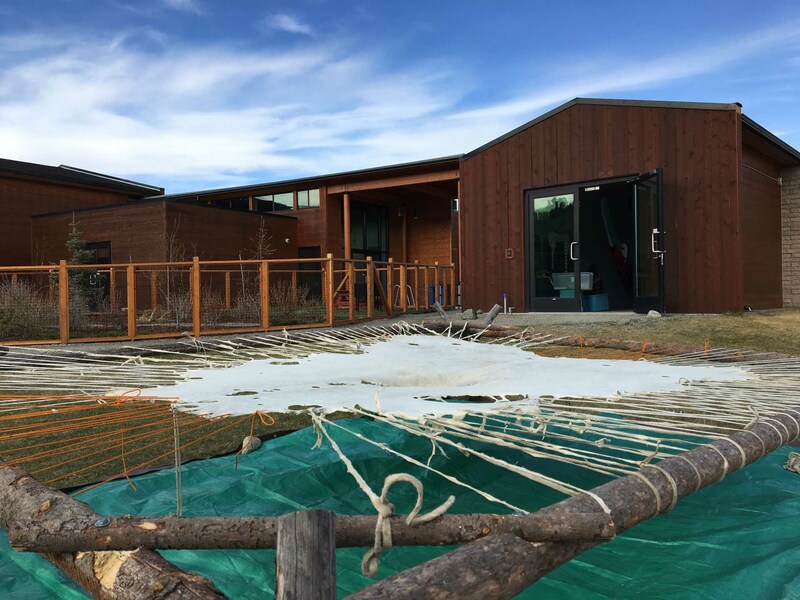 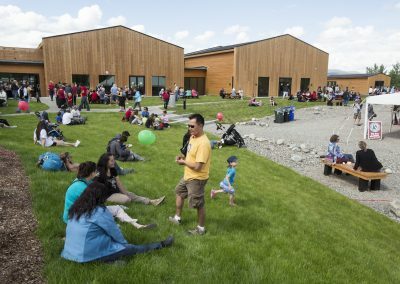 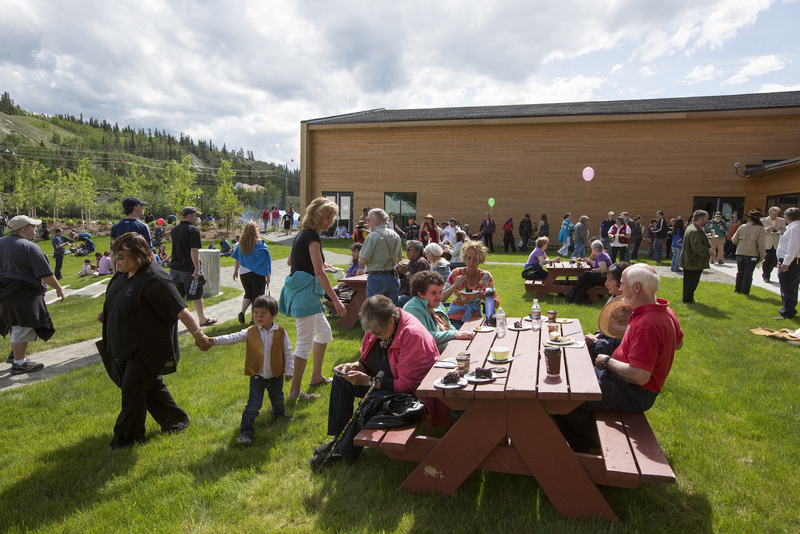 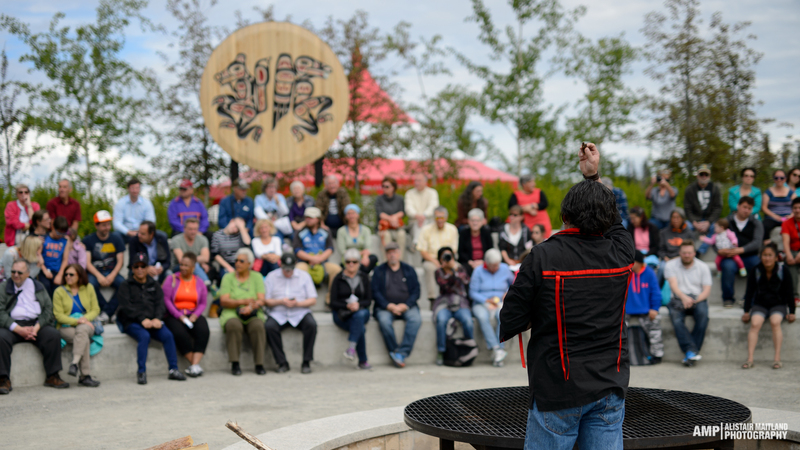 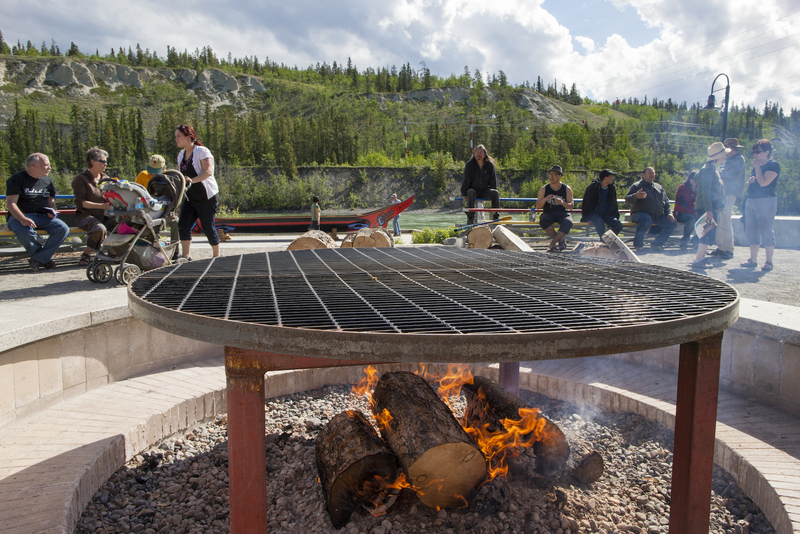 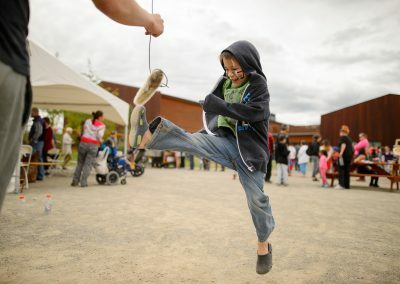 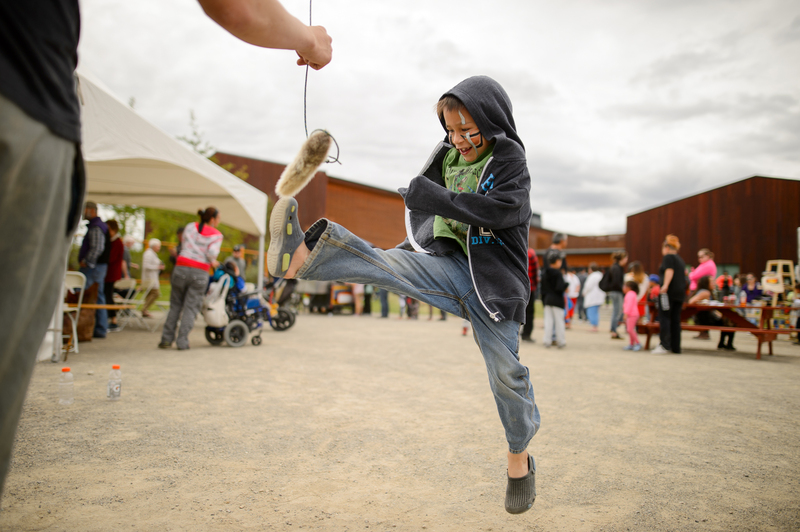 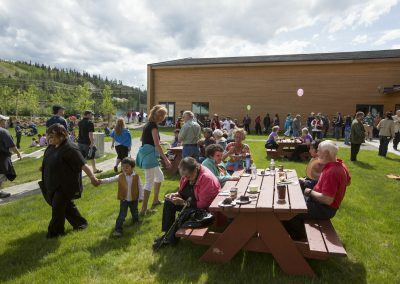 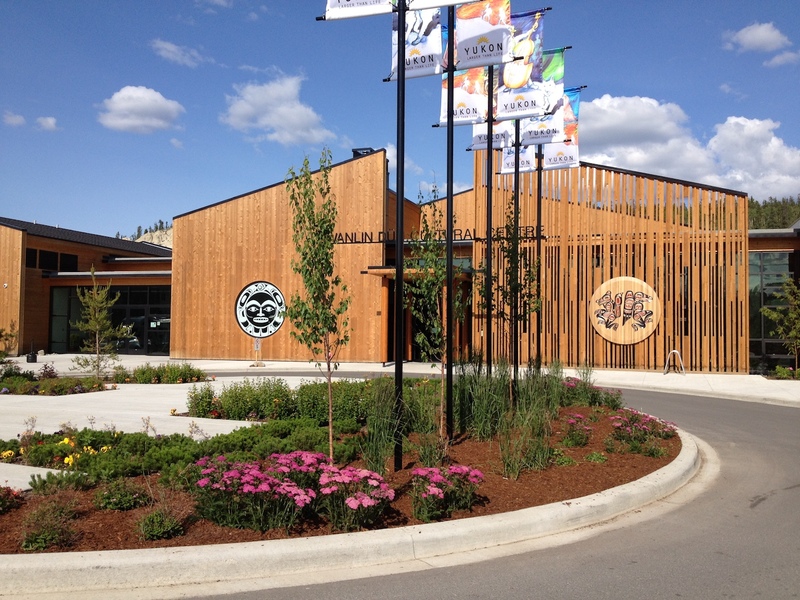 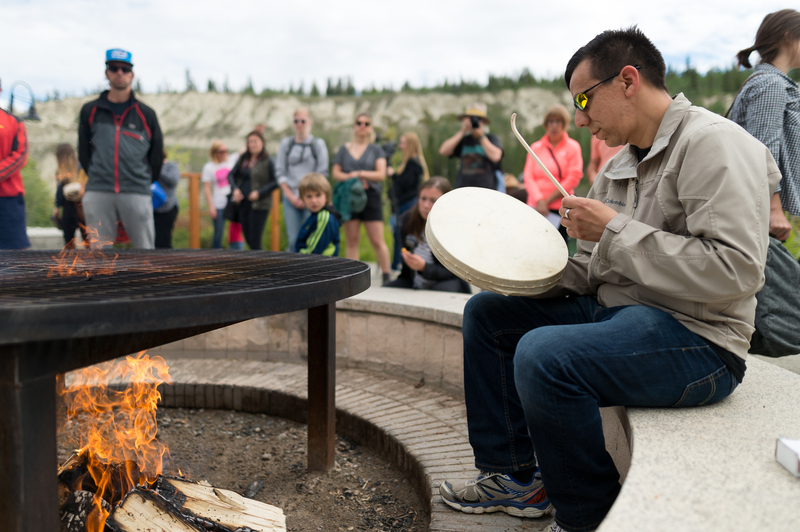 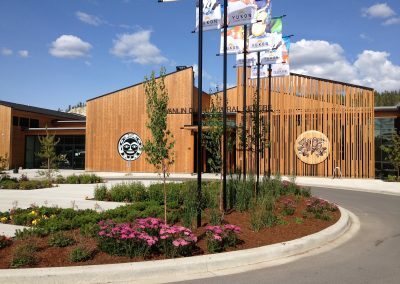 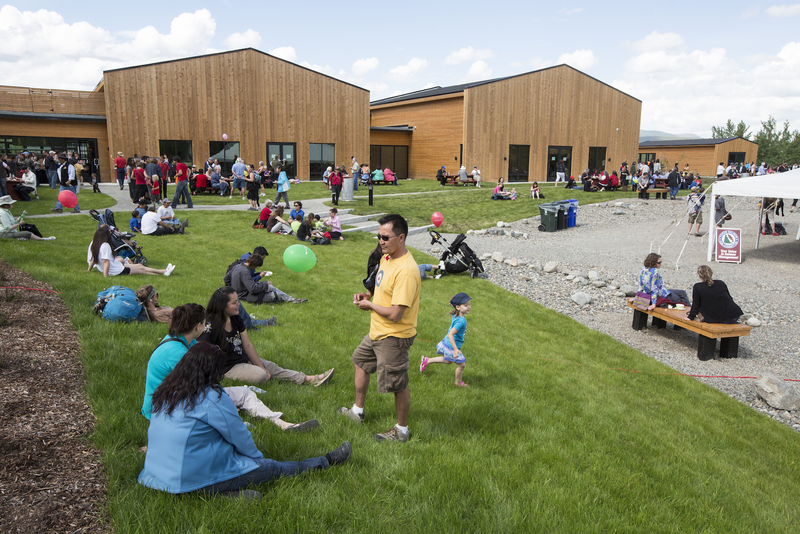 The grounds of the Kwanlin Dün Cultural Centre feature our striking Fire Pit area overlooking the Chu Nínkwän (Yukon River), which can be used as a cocktail or reception area, a lunch spot, a perfect photo op location for your groups, or as a space to relax and connect with nature while enjoying a fire. 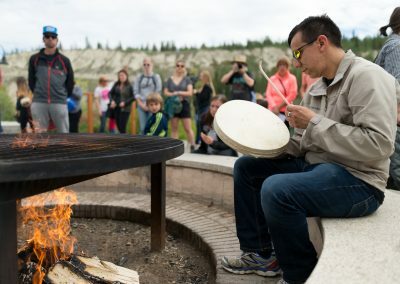 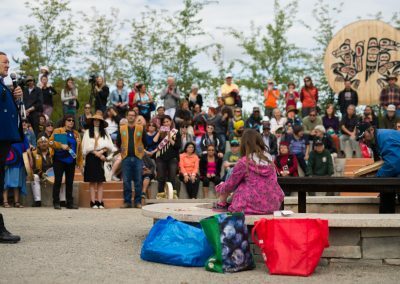 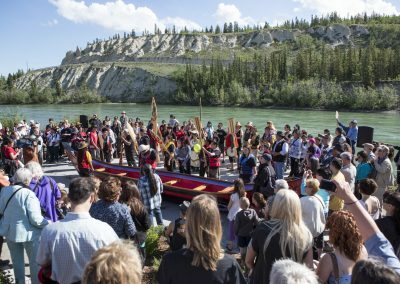 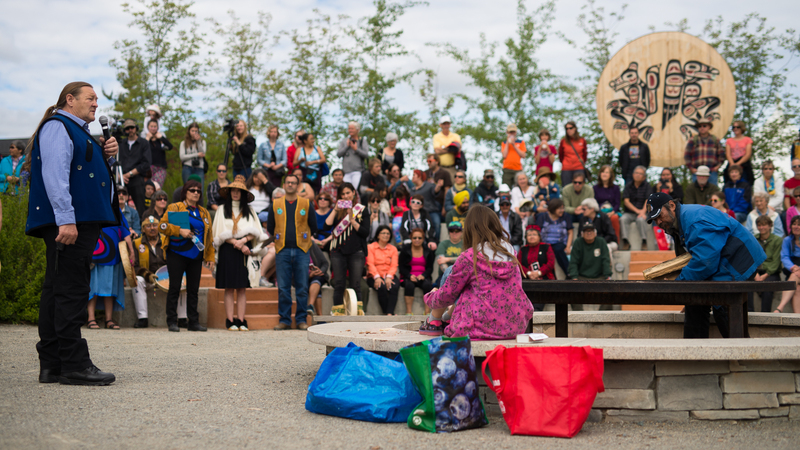 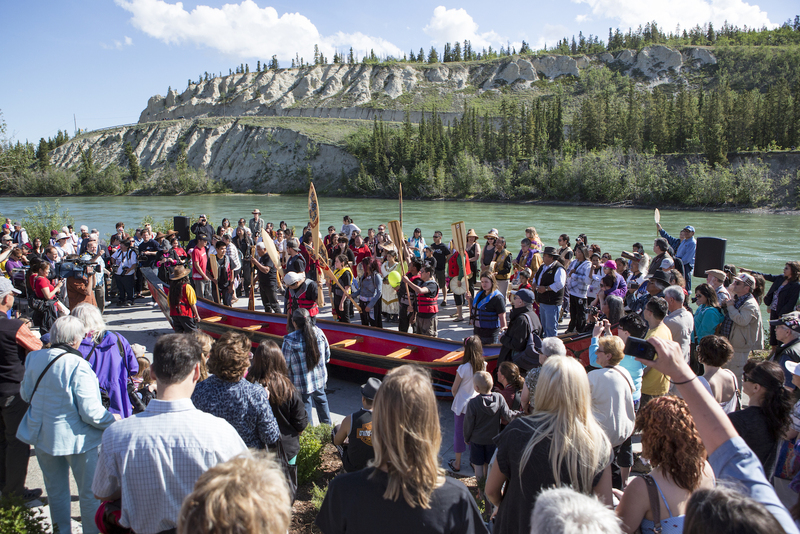 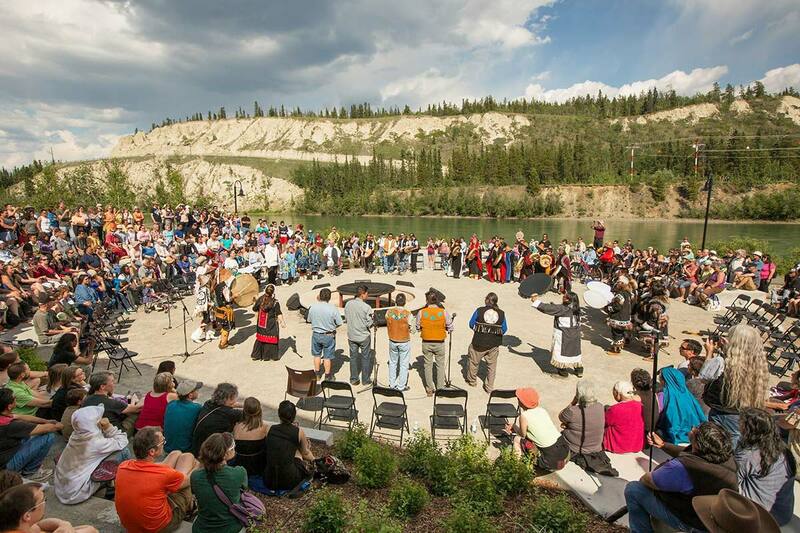 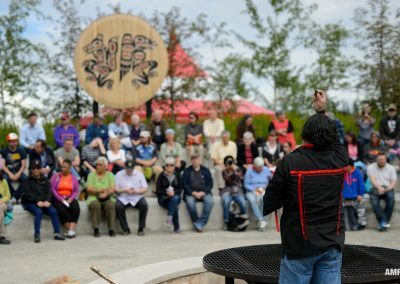 The Fire Pit is also one of Whitehorse’s most popular locations for a unique outdoor wedding ceremony. 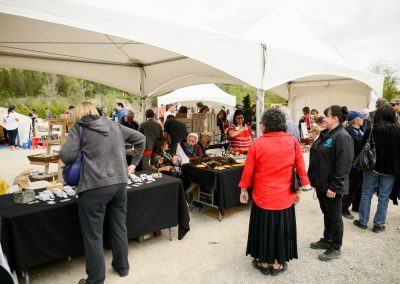 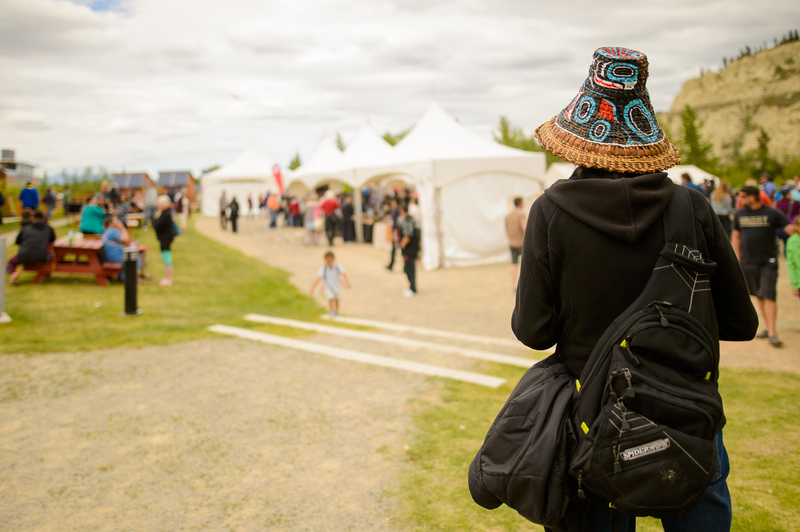 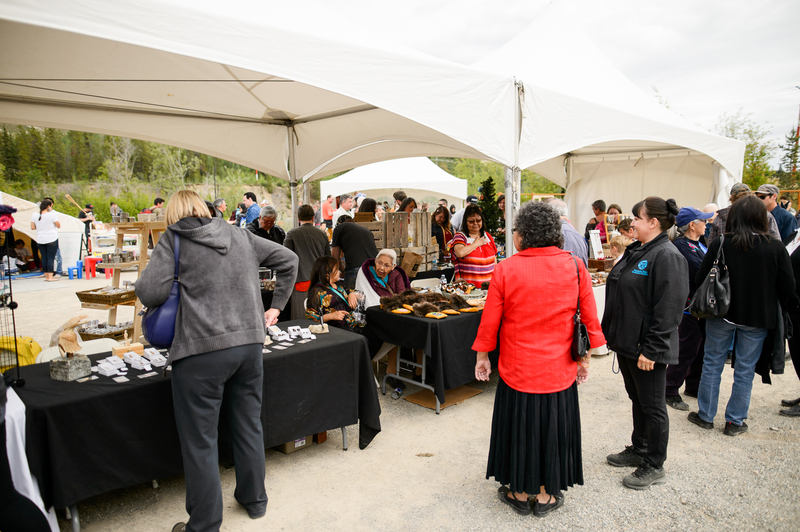 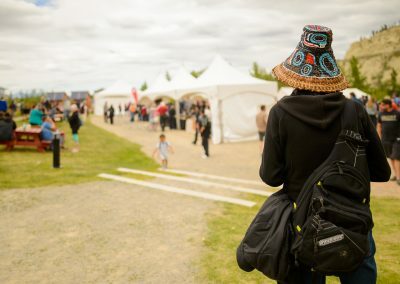 The rest of the grounds are available for tent rentals or general use, and are resplendent with native plant species, including a healing garden.